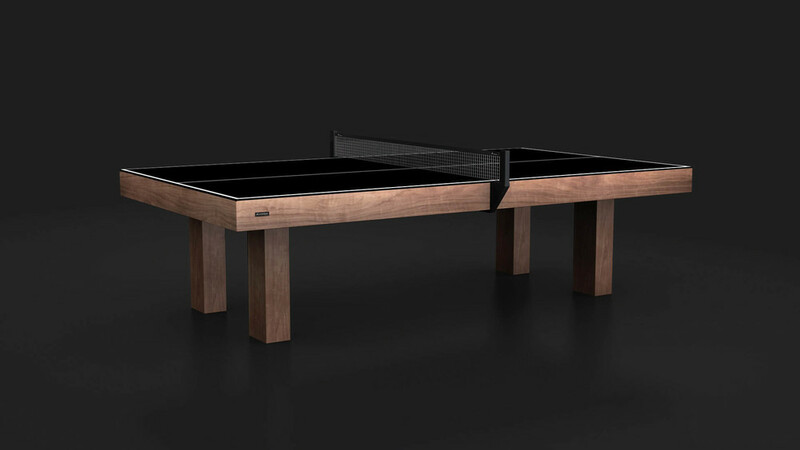 The Malibu, striking in both its appearance of strength and simplicity, is available in Walnut as a custom table tennis table. This premier custom-made Eleven Ravens design will enhance the interior of any room it is placed in. Our specialty is customization. Please note that Eleven Ravens can further customize your table in any way you wish. Corporate / logo branding is also an option.